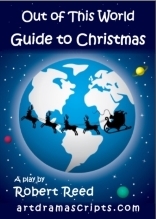 Our playscripts suitable for class assemblies, school assemblies and as additional topic resources. 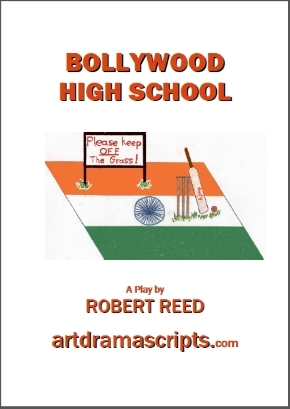 At artDramaScripts we have 60 playscripts to help you bring drama into your classroom and school. Why use drama in the classroom? 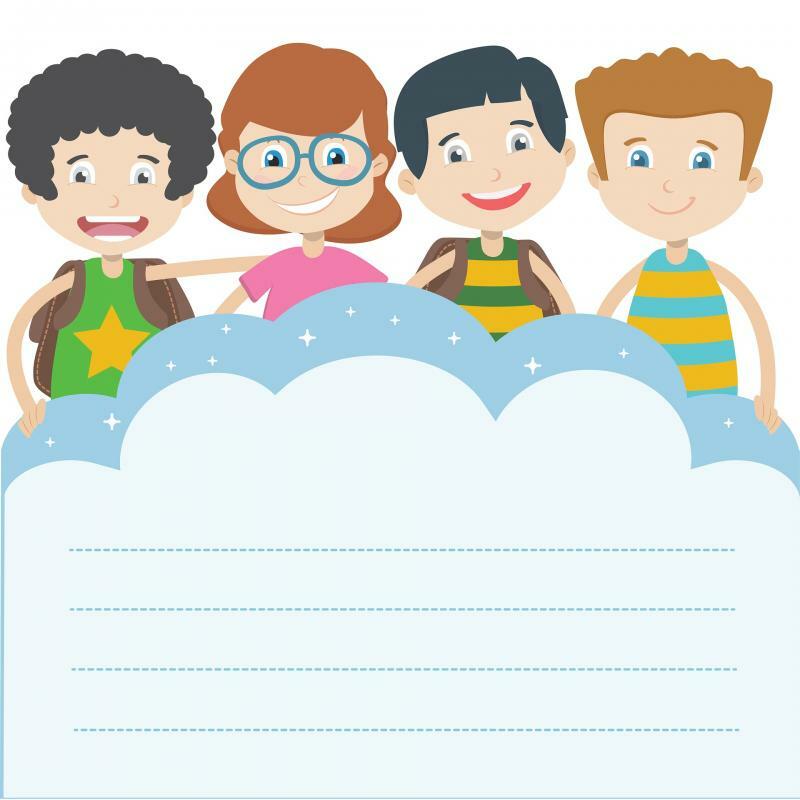 Drama is a great way for children from diverse backgrounds to work together as a team. Drama allows pupils to discuss the motivation of characters and how they would use language to express themselves. It's not just about learning how to speak effectively: it's inspirational for their own writing. How can performing in a play help child develop? Reading and performance increases self-confidence and is educational: pupils can learn about great scientists and their inventions, as well as famous historical events and people. The child's imagination is allowed freedom to develop. One week the student may be a hero like the Celtic warrior queen Boudica, Saint George, Ali Baba, or Paul Revere, and the next week the Wicked Queen from 'Snow White'. And, for most pupils, drama is really enjoyable. 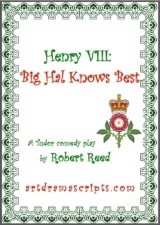 HENRY VIII: I've made a decision: I need a younger wife who can give me a son. Like her! (Points to Anne Boleyn.) What's your name? ANNE BOLEYN: Anne Boleyn, Your Majesty. HENRY VIII: You'll do. Wolsey, I need the pope to allow me to have a divorce so I can marry again and have lots of sons. THOMAS WOLSEY: But, I'm in the middle of building myself a really huge palace called Hampton Court. THOMAS WOLSEY: Okay, I'll ask. 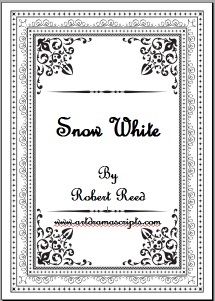 More about the play - read script details. Fable play set in the jungle. 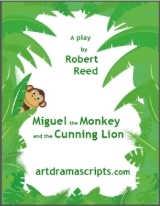 Read more about the play at Miguel the Monkey script. It's 60 A.D. and Boudica has just become leader of the Iceni tribe after her husband's death. The Romans don't respect women and their bankers want their money back. With half of the Roman legions in north Wales chasing the druids, the last thing the Romans want is a Celtic rebellion. Well, they'd better not mess with Boudica then. 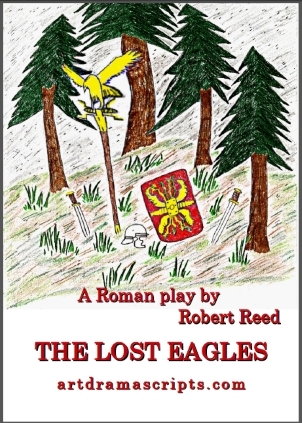 THE LOST EAGLES - For play script click here. 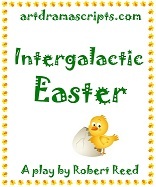 This funny script is only loosely based on the classic. The emphasis is on FUN. 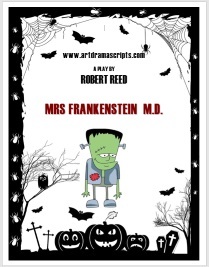 Mrs Frankenstein M.D. has no time to be "mumsy" to her latest creation. However, the poor lonely Monster will have the last laugh in the end. Watch out for Shmuggle, the very unwilling scientist's assistant. ﻿Read more. 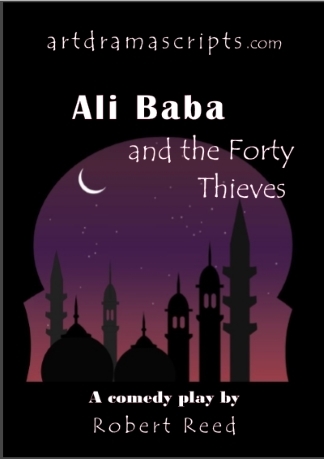 The play combines elements of a murder mystery with Halloween theme in a humorous and exciting play perfect for KS2 Halloween assemblies. Read more. Merry penguins lost Father Christmas !!! Cheeky aliens learning about Christmas customs around the world. Funny and educational tour of the most famous and less well-known Easter traditions. 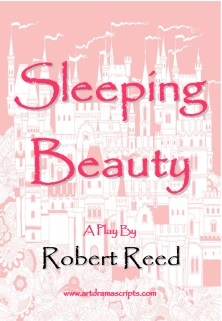 The play would suit class sizes of 22-30 children. 6 roles are recommended for acting by girls, 7 roles for performance by boys. About the plays read more. This amusing play has two main moral messages: the importance of taking decisions for oneself and the importance of preserving nature. About the play.